Hendricken is loaded with talent this fall and the odds are favorable the defending champion Hawks will win state title No. 24 this fall. No doubt one of their leaders this season is McMahon. 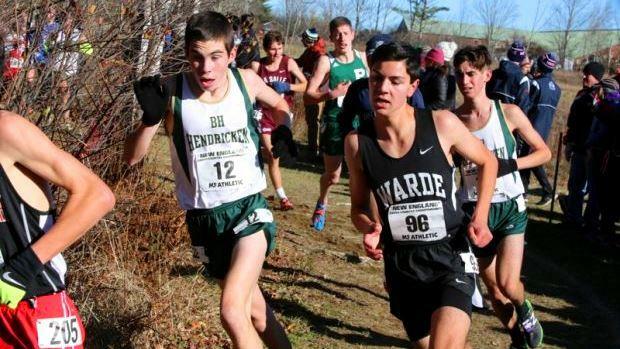 As a junior last year, McMahon finished second overall behind East Greenwich's Jeffrey Pedersen at the State Meet. He was also fourth at the Class A Meet and won his race at the season-opening Injury Fund Carnival. The Hawk standout continued to shine on the track surface, particularly during the outdoor season where he clocked a PB of 8:40.34 to finish second overall in the 3K at the State Meet. His best race of the year also happened to be his last. Competing in the 5,000m at the New Balance Nationals in June, McMahon just missed All-American status by placing seventh overall with a stellar time of 15:00.35. Come early November, this talented senior is certainly capable of being one of our contenders for individual glory at the State Meet.